As in other regional clashes, external powers are being drawn into the Gulf quarrel, not all of them on Saudi Arabia's side. Saudi Arabia dwarfs Qatar on almost any measure, yet there are plenty of ways the tussle between the Gulf neighbors could end up hurting the world's biggest oil exporter -- even if it wins. All week the Saudis and their allies have ratcheted up pressure on Qatar, cutting diplomatic ties and imposing a blockade by land, sea and air. The stated goal is to force Qatar to stop cozying up to Saudi Arabia's rival Iran and bankrolling Islamist groups across the region. Qatar says it's being punished for things it didn't do. The disagreement is longstanding. The scale of the current crisis is new, and it's erupted into a Middle East already polarized by war. Saudi Arabia has struggled to impose its will in Syria and Yemen. Now discord has spread to the inner circle of Gulf monarchies, at a time when the Saudis and their young Prince Mohammed bin Salman are urgently seeking foreign investment to modernize an oil-dependent economy. "Most worrying is that Saudi Arabia and the U.A.E. may repeat the mistakes that were made when the Saudi leadership decided to launch a war in Yemen," said Yezid Sayigh, a Beirut-based senior fellow at the Carnegie Endowment for International Peace. "They had no clear political strategy, based their action on false assumptions, have incurred heavy financial costs and a growing human toll, and are probably now worse off in terms of their security." U.S. President Donald Trump, who visited the kingdom last month, tweeted support for the Saudi-led campaign, but the Pentagon -- which has one of its biggest overseas bases in Qatar -- and the State Department have taken a more neutral position. Turkey has accelerated pre-existing plans to deploy some troops to Qatar, and Iran offered alternative transport routes and supplies of staple goods that can no longer be imported from Saudi Arabia. Their backing reduces the chance of a quick Saudi victory. "Turkey has a powerful military," said Paul Sullivan, a Middle East specialist at Georgetown University in Washington. "Iran is sending water and food," he said. "So now we have two significant forces supporting Qatar." From the Saudi viewpoint, Qatar has been stirring up trouble all over. That includes promoting the Muslim Brotherhood, whose advocacy of Islam through the ballot box is disliked by some Gulf monarchs. It includes cordial ties to Iran, with which Qatar shares a giant gas field. It includes sponsoring the Al-Jazeera television network, which has been critical of Saudi allies. Rounding up the charge-list: Support for Islamic State and al-Qaida -- something the Saudis have also been accused of and, like Qatar, deny. "Qatar for many years has taken steps to support certain organizations and intervened in situations," Saudi Foreign Minister Adel al-Jubeir said Wednesday. "We view Qatar as a brother state," he said. "But you have to be able to tell your friend or your brother what is right or wrong." The Saudis and U.A.E. have hinted they'll take further steps to make the point, including curbs on bank lending to Qatar and transactions in its riyal currency. 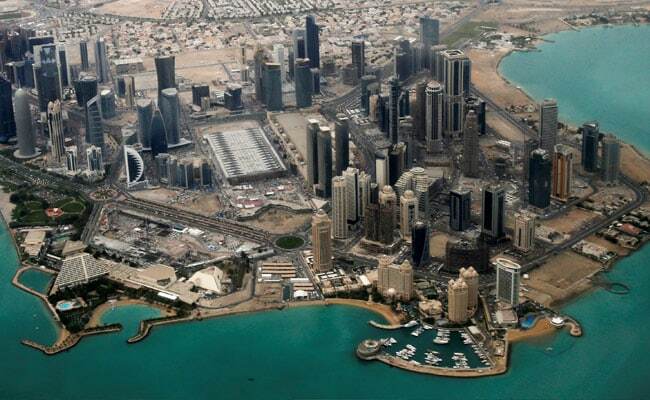 Gas-rich Qatar has financial resources of its own, though, to withstand a siege. Its $335 billion sovereign wealth fund owns stakes in global companies from Volkswagen to Barclays. Qatar will be motivated to resist by the perception that what the Saudis are really after is regime change, according to Sanam Vakil, associate fellow with the Middle East and North Africa Programme at Chatham House in London. Insisting "that Qatar capitulate on these demands is a challenge to its sovereignty," and therefore the legitimacy of the ruling family, Vakil said. "I find it hard to believe they will just roll over." So far, they haven't. Week one of the standoff ended with Qatar defiant. Food imports that usually come across the Saudi border have been sourced elsewhere, Foreign Minister Mohammed Al Thani told reporters in Doha. "We can live forever like this," he said. "We aren't ready to discuss an intervention into our sovereignty." That doesn't mean the pressure won't tell eventually. The Saudi economy is four times bigger than Qatar's. Its population is more than 10 times larger, and that internal market helps insulate the Saudis from any fallout, said James Reeve, the London-based senior economist at Samba Financial Group. Stock markets share that view of who's more at risk. The main Saudi index was little changed on the week; Qatar's fell more than 7 percent. Still, "any dispute of this type is likely to mar the investment climate for all countries," Reeve said. "Investors will be reminded that this is a region where political issues can flare up unexpectedly." Saudi Arabia can ill afford instability in the Middle East, particularly of its own creation, at a time it's seeking to raise billions of dollars from foreign investors by selling shares of its oil giant, Saudi Aramco. U.A.E. Foreign Minister Anwar Gargash, in an interview on Wednesday, acknowledged that the Gulf's reputation as a stable destination for capital could take a hit. "I can't deny that this rift has its toll," he said. But he said there was no alternative to confronting Qatar, because the other five members of the Gulf Cooperation Council can't trust a partner that's "going to be duplicitous in his policies." If Qatar wants to fight back, it could threaten to pull out of the GCC, according to Theodore Karasik, a senior adviser at Gulf State Analytics. That would strike at Saudi efforts toward closer union. "Qatar could begin the process of exiting from the group," said Karasik. "This would be a powerful message to all interested parties," and would likely win behind-the-scenes backing from Turkey, Iran and even Russia, he said. Another GCC member, Kuwait, is leading the effort to ensure things don't reach that point. Its ruler traveled to Saudi Arabia and Qatar this week, for discussions that haven't yet been made public. Trump on Thursday offered his secretary of state, Rex Tillerson, as a mediator. The president himself is widely seen as having emboldened the Saudi camp. Trump has vowed to take a tougher line on Iran, and hailed King Salman as a key partner. That's one reason why, when Islamic State struck at the heart of Tehran for the first time this week, Iran's Revolutionary Guard Corps promptly blamed Saudi Arabia and the U.S., and promised revenge -- another example of how battle-lines across the Middle East are hardening. The Gulf monarchies now at loggerheads were among "the last somewhat peaceful places in the region," Sullivan said. "I'm getting worried."